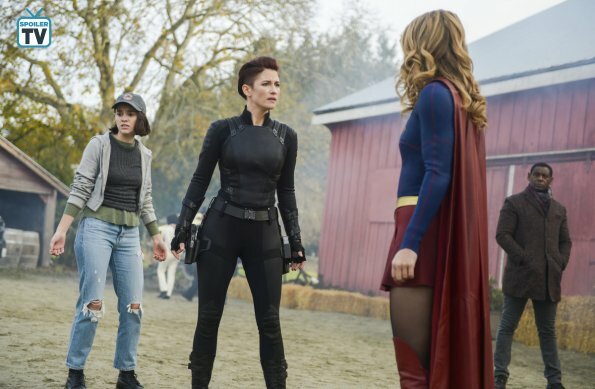 Supergirl - Blood Memory -Advance Preview - "The Trouble with Sisters"
Last week Supergirl kicked off the second half of its fourth season with a stellar episode that featured a heart-rending and game-changing twist. This week it follows that up with another very solid episode, "Blood Memory". 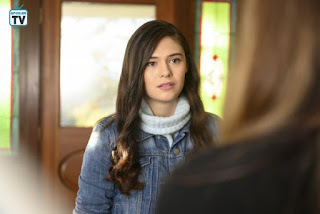 At its core of this episode both Kara and Nia are struggling to deal with problems with their sisters, but there is so much more to it than that. A powerful new drug that turns people superhuman is flooding National City and ultimately falls into the dangerous hands of the Agents of Liberty and causes the two women to take actions that cause both great pains and all of this is somehow connected to Red Daughter training in Kaznia. First and foremost, let's get one thing out of the way. 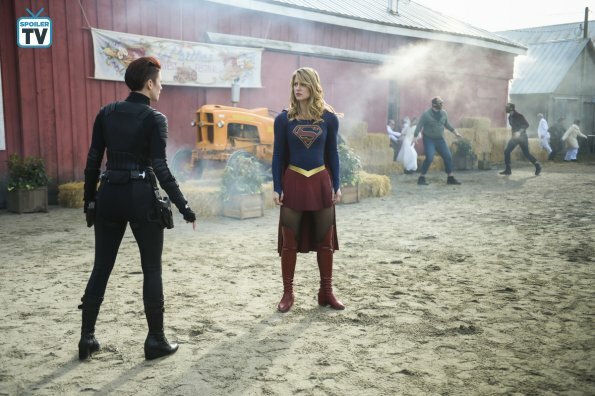 For those that were concerned that J'onn's mind wipe of Alex last week would affect the Kara/Alex bond, rest assured, that isn't the case at all. 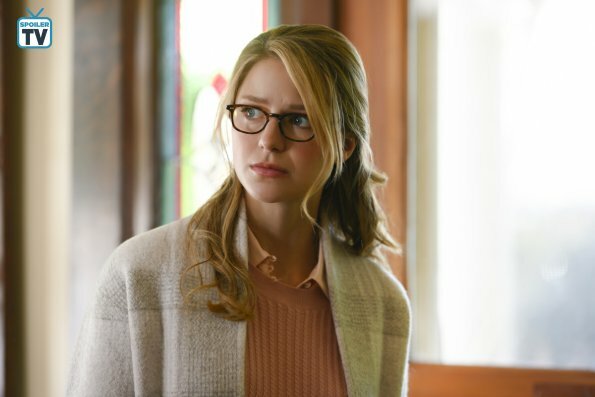 In fact, Alex's relationship with Kara appears to be as strong as ever. One might say they're an unbeatable team. But, Alex's relationship with Supergirl, well that's another story. 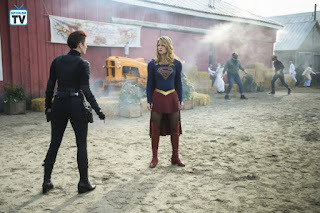 Try as she might Supergirl can't seem to connect with her sister, and finds herself at odds with Director Danvers more than once in the episode. This leads to some tense standoffs between the two. While Kara worries the mind wipe has caused more damage to her sister than they realized, she also struggles with the guilt at what her sister has sacrificed to save her. Meanwhile, Alex isn't feeling quite herself and turns to J'onn for help. J'onn fears because so much of Alex's formative years were spent with her sister as Supergirl their bond is too strong to withstand the wipe. Alex's mind wipe and its consequences have only just begun to ripple through their worlds and this challenging and intriguing storyline is just getting started. Bringing this complex story to life couldn't be in better hands than those of Chyler Leigh, Melissa Benoist, and David Harewood who bring beautifully nuanced performances in this episode. One suspects we're in for some of their best work of the series in upcoming episodes dealing with Alex's mind wipe. As powerful as their work is, this episode really belongs to Nicole Maines as Nia Nal. 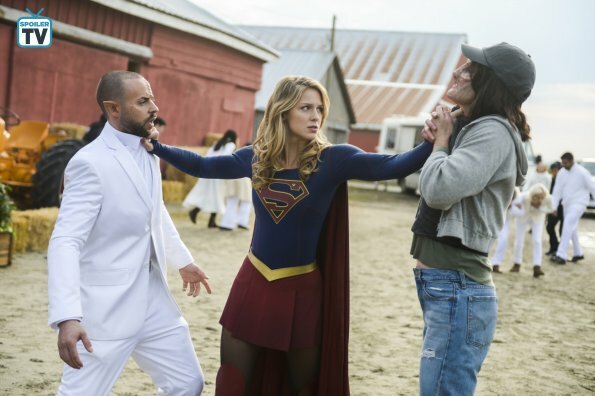 Maines does some of her strongest work since her arrival on Supergirl. Nia and Kara have traveled to her home town for a peaceful festival. Yet, Nia is reluctant to go home and share the news of her newly awakened dreaming abilities, hiding the news from her mother and her sister. She shares some lovely scenes with guest star Kate Burton as her mother, Isabel and has a genuine sisterly connection with Hannah James as her sister, Maeve. The episode also does a great job of dovetailing the two sister stories. Benoist and Maines have become a great duo to watch this season as Kara mentors the young journalist. And the closer Nia gets to fully becoming Dreamer, it is inevitable that perhaps Supergirl will become a mentor to the fledgling superhero too. Their bonding over sister troubles is perfect and gives Benoist a most telling speech about sisters and sacrifices and hiding things. 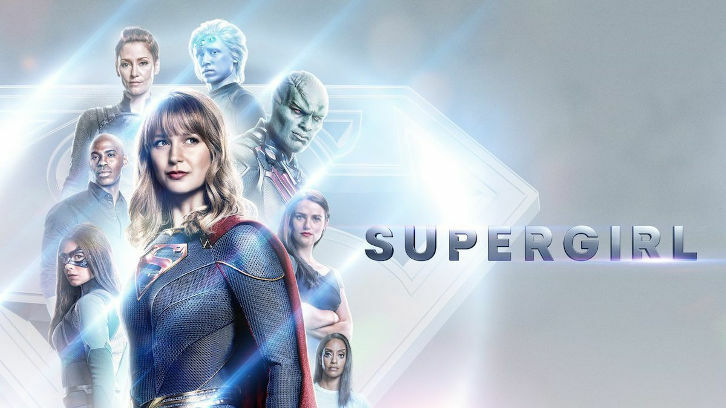 "Blood Memory" builds on the strong start to the second half of the Supergirl season, potentially making this season the show's strongest. It's got a little bit of something for everyone; sisterly bonding, sisterly angst, Red Daughter, intense action, Nia taking the next step in her transformation into Dreamer, the CW's first transgender superhero and quite a few surprises some good, some shocking and some very touching. Watch the episode tonight at 7/8 CST/EST on the CW and share your thoughts about the episode in the comments below.